Salt has had a bad press recently with more and more dieticians and nutritionists advising us to cut our salt intake and use alternative seasonings, which is fine. If you don’t like food. I can’t say it any simpler – food without salt is almost universally bland. Don’t get me wrong, I don’t like my food salty but I know what a difference even a tiny amount can make to the flavour of a dish. In the wrong hands it can be a travesty with everything tasting like a mouthful of seawater but used correctly, salt is merely a flavour enhancer, used to help develop and boost the inherent deliciousness of so many foods. Not only is it an essential ingredient in the kitchen, without it we would die a rather slow and painful death suffering through fatigue, muscle cramps and other such delights as our bodies struggle to regulate their water content. 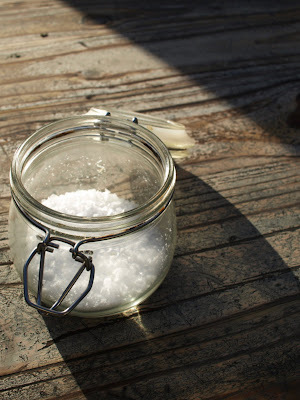 In its simplest form, salt is a compound of Sodium Chloride (NaCl) but there are so many variations that a number of top restaurants have started specialising in gourmet salts, using samples from various parts of the world to complement certain dishes. Sel Gris (Grey Salt) and Fleur de Sel both hand harvested from France are two of the more popular gourmet salts and they have a rounder, softer taste to the standard table salt, which many find too harsh and overly salty. To see for yourself how salt can give an explosion of flavour cut a couple of slices of a fresh tomato. Leave one unseasoned and sprinkle a little salt on the other before tasting each one. You should be able to tell the difference immediately with the second tasting distinctly more tomato-ey and even sweeter than the first. You can do a similar thing when you are making caramel – just a little sprinkling will give a significantly and noticeably more powerful flavour helping to accentuate the other elements in a way that isn’t possible without the salt. So why has this magnificent little seasoning found itself demonised recently? Excess salt consumption has been linked to hypertension (high blood pressure) although there is no concrete evidence as yet. But the key word there is excess. An excess of anything is unlikely to do you much good. Too many bananas will give you potassium poisoning. Too many glasses of wine will give you a hangover and too many fried breakfasts will give you all manner of difficulties. Moderation is the key, as with most things. Unless we are making a brine (which happens rarely), we tend to stay away from table salt which is cheap and, to my palate, too synthetically salty. 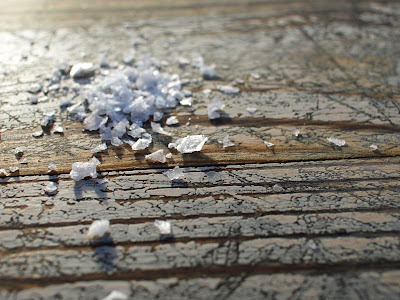 Instead we have a little jar of Malden sea salt: delightfully soft flakes that are great rubbed over a finished dish at the final moment just before serving. In addition to this we have a small jar of rock salt too. This has a less brackish flavour still and is great for seasoning during the cooking process allowing some degree of grace if you slip and add a little too much (If you’ve over salted a dish there isn’t a great deal you can do which is why it pays to add it a little at a time. You can try compensating with other flavours: lemon juice and sugar to balance the saltiness but it’s best just to take a little extra care). There’s no doubt in my mind that salt is one of the absolute essential ingredients in any kitchen, possibly the number one ingredient thanks to its ability to lift almost all other foods to the loftiest of heights. It may not be a stand alone food stuff but its inherent capacity to act as an ‘enabler’ for everything else in the kitchen to live up to their potential means that it deserves its own chapter in the hall of fame. I agree - you can't overestimate the role salt plays in cooking. I have fond memories of running to our family tomato garden with a small salt container in my pocket because I knew just how it made the tomato flavor come out. I've lived in New England my whole life. It was not until I spent a summer in Mississippi that I'd heard of putting salt on watermelon. Sure enough, it tastes even sweeter with a little salt! I love salt. Mmm, I blame my father for giving me a massive salt craving. I'd even take crisps over chocolate... oh - nice post btw! Great post and great photos. Salt gets such a bad rap. I actually use Kosher salt for almost everything. I'm not sure I even own a container of table salt. I've found Kosher salt to be lighter and more forgiving. But it is slightly more expensive. You nailed my favorite salted treat: tomatoes. I also enjoy cucumbers with a bit of salt. Salt is good. And I am convinced that we eat less salt by seasoning our food in the cooking than we would if we added the seasoning at the table. My favourite salt is the pink Murray River salt from Victoria. Pretty, and such a delicate flavour. 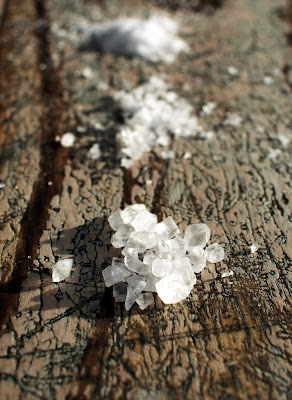 I love salt, and it's true-- it makes such a difference in flavour. This post reminds me of the fairy tale where the king's youngest daughter tells him she loves him as much as salt, at which he disowns her, only to realize his mistake when he eats a meal that's prepared entirely without salt. Haven't heard it in years, but clearly it had an influence on child-me! SCF - I think I would too. Good choice. foodycat - I totally agree, it's so important to season as you go. have you tried himalayan pink salt? and black salt used in indian food? very interesting flavours. oh, and salt on dark chocolate. wonderful. 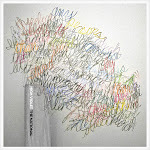 Hi Bee - they sound wonderful, I need to track those down.